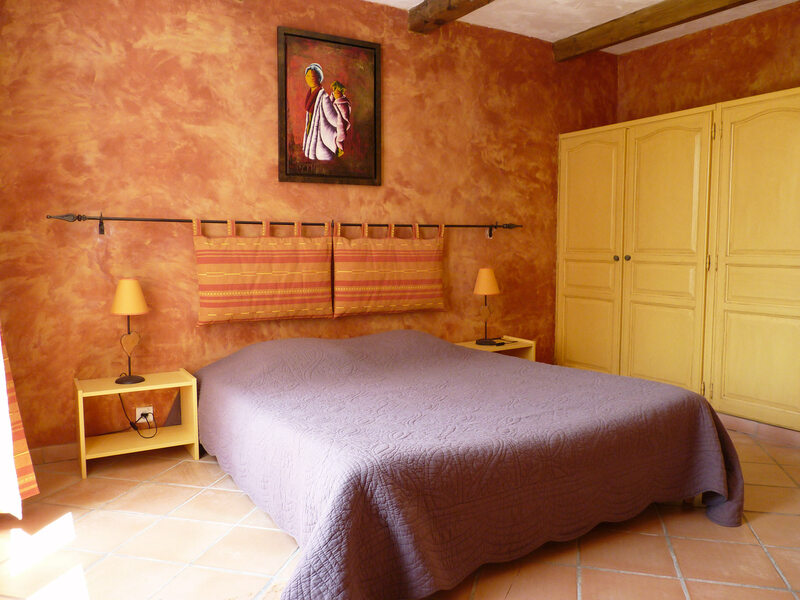 Acanthe is a beautiful master suite of 45m2, painted in warm colors of Provence. 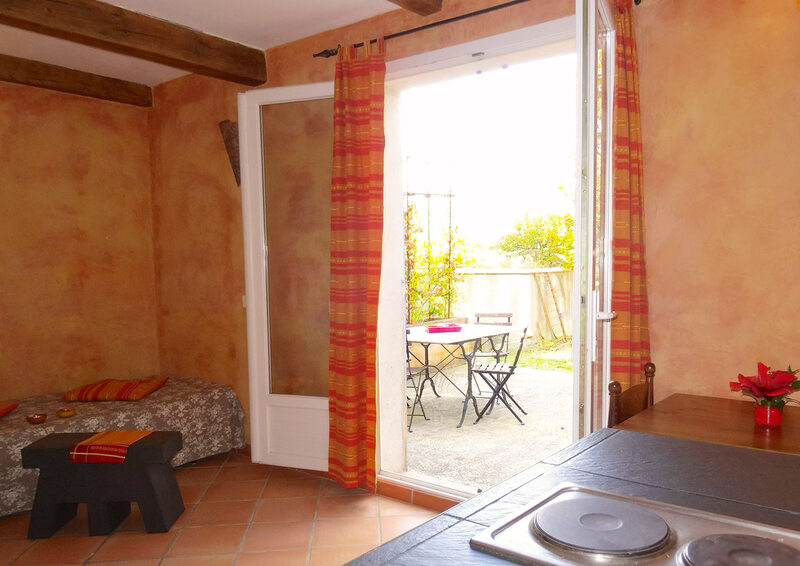 It has a lovely separate living room and an equipped kitchenette with a dining area. 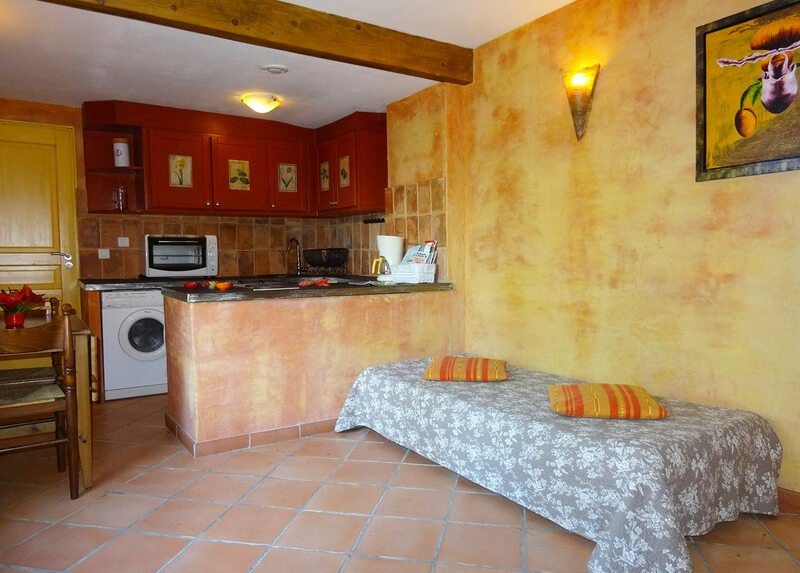 A terrace of 15m2 welcomes you to a relaxing moment. The bedroom is separated and also overlooks the terrace. 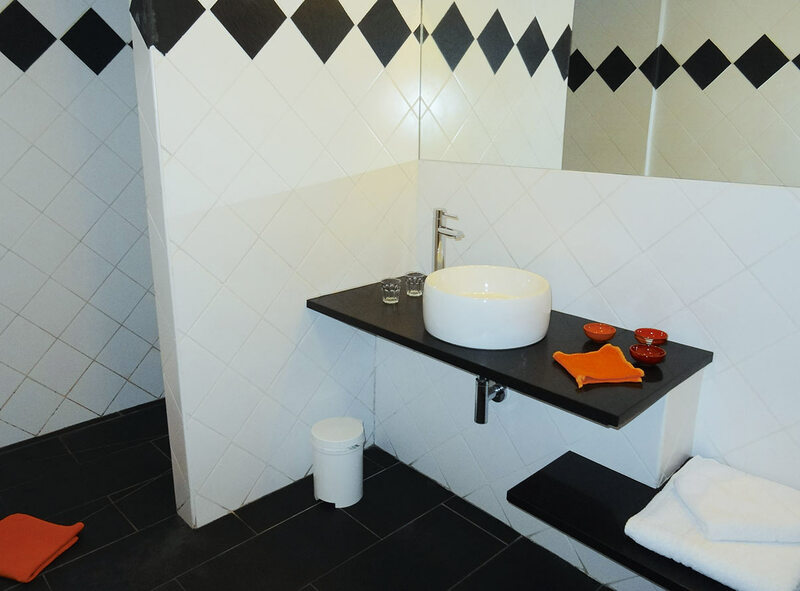 The bathroom is spacious and has a large walk-in shower. The WC is independent. Equipped kitchen: fridge, dish washer, washing machine, stove, small oven, crockery and kitchenware. Towels are provided and changed weekly.